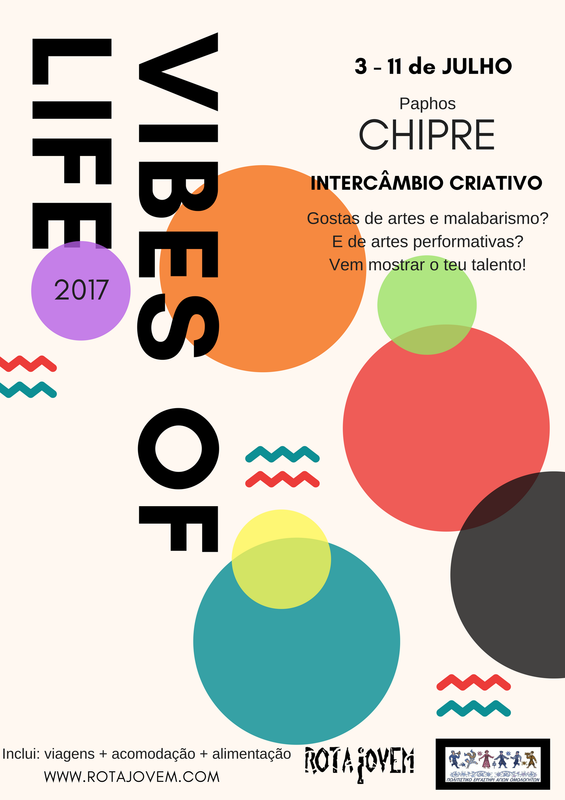 Youth Exchange "Vibes of Life 2017"
Youth in Action program - develop long lasting partnership relationship between the promoters of the project - to use arts and media as a medium to achieve objectives . Young people do not need to have an expertise in arts but must be interested in participating fully in all activities. If they have an expertise we would encourage them to bring with them either their percussion's or other equipment needed like juggling balls or other .The venue will be in Paphos, in the coast part of the city. ​We have collaborated with the authorities and the locality before in other events and European projects. What? The project will follow the a non- formal education methodology by offering artistic workshops, like dance and drama, in order to promote other ways of learning. All the participants will be actively involved in workshops such as dance and drama run by professional artists, which also make it possible to include and motivate young people. After 4 days of intense activity in the workshops, the results will be combined into a presentation and show to other young people in the public spaces and then, there will also be time for sightseeing. To who? For young people between 15 and 18 years old who are open to learn, to explore and to have fun! If you want to be part of this activity you should be a member of Rota Jovem, and that means that you have to fill a form and pay an annual membership of 12€.